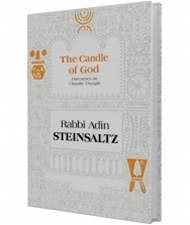 Rabbi Adin Steinsaltz takes readers on a journey of the soul through the teachings of Hassidic leaders, Rabbi Schneur Zalman of Liadi, founder of the Chabad movement, and his grandson, Rabbi Menachem Mendel. With characteristic ease and lucidity, he explains the hidden aspects of Shabbat, the essence of the soul in Torah, the inner meanings of sanctity and restraint. It is a unique bridge between ancient Jewish wisdom and the modern world.